The Arduino is a programmable circuit board, or microcontroller. It's open-source, and may be used for a variety of neat maker projects. Notably, it differs from single-board computers (SBCs) such as the Raspberry Pi in that the Arduino focuses on interfacing with software which interacts with the physical board. 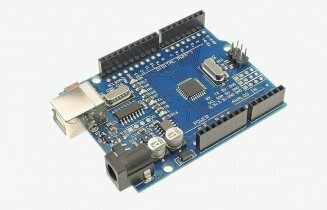 As such, Arduino projects are more maker-oriented, whereas SBC projects range from basic Linux desktops and retro gaming machines to advanced robotics. Nevertheless, there are loads of Arduino projects which you can make. Check out the 10 best Arduino projects!